Lenovo has revealed three updated education Chromebooks for 2018, with the 100e and 300e providing rugged budget friendly options for classrooms, and the 500e adding some style and a pen for older children or university usage. Chromebooks running Google’s ChromeOS have been making decent progress at building a market share in the classroom. 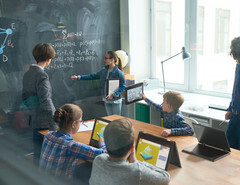 Much of the last two decades have seen computer labs dominated by Windows machines, with some MacOS models thrown in the mix depending on the school region. But Chromebooks have seen increased adoption in schools that are bringing student laptops into non-IT subjects. 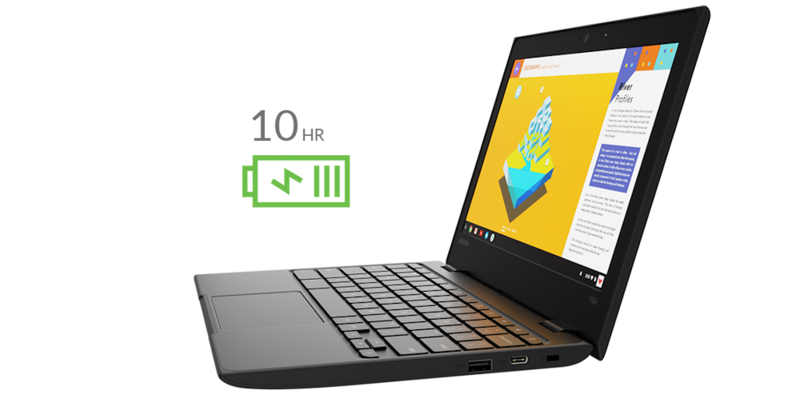 To complement Lenovo’s new Windows education notebooks, they have announced three new ChromeOS models, the 100e, 300e, and 500e. Note that the 100e and 300e are also available with Windows 10. All have been MIL-SPEC tested including drop testing up to 29.5 inches and keyboard which can handle up to 330 ml of water spills. 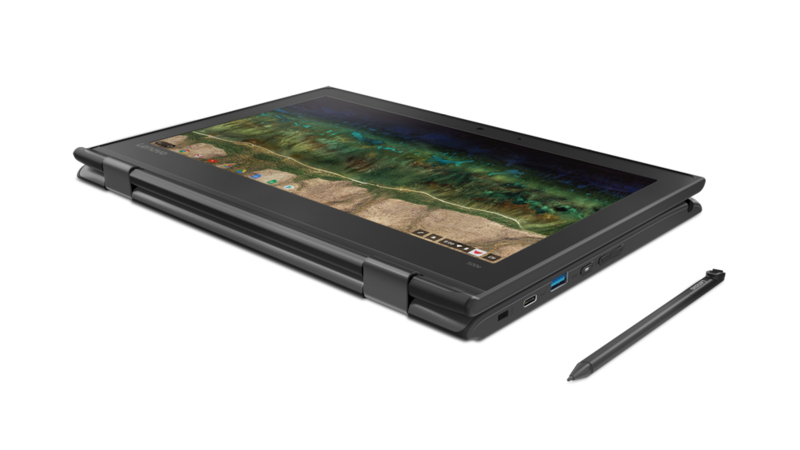 The 500e includes a stylus, while all come with Google's G Suite.